The Pro Life Campaign has responded to the Taoiseach Enda Kenny’s comments in which he refused to commit to repealing the 8th Amendment. “While we acknowledge the fact that the Taoiseach is not giving a commitment to dismantle the 8th Amendment, he cannot downplay the significance of the law he introduced on abortion in 2013,” said Cora Sherlock, Deputy Chairperson Pro- Life Campaign. “Far from being restrictive, it allows for abortion in potentially wide-ranging circumstances and was not based on medical evidence,” she added. RTE News reported on Saturday (12 September 2015) that the Taoiseach said he would not commit to a vote repealing the 8th Amendment without knowing what would replace it. The Labour party will make repealing the 8th Amendment part of their election manifesto. 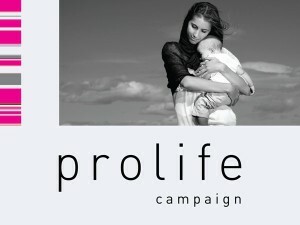 Cora Sherlock stated in response that the law has served to protect both mother and unborn baby. On Monday (14 September) the Tánaiste and Labour leader Joan Burton confirmed that repealing the 8th Amendment will be in the manifesto, but she said there would be no preconditions for entering government. Later on Monday the Labour parliamentary party agreed to a vote transfer pact with Fine Gael. Fianna Fáil at its Ard Fheis at the end of April voted to oppose any repeal of the 8th Amendment of the Constitution. 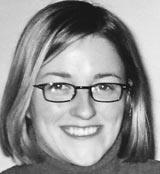 Cora Sherlock, Deputy Chairperson Pro- Life Campaign. In April, PLC Deputy Chairperson, Cora Sherlock, said she was pleased to see the Fianna Fáil members’ vote that had “recognised the importance” of the 8th Amendment. As the discussion over issues heats up in the run-up to the election, the PLC has announced who its keynote speaker for this year’s Pro Life Campaign National Conference is. Congressman Chris Smith is described by PLC as “the shining light on pro-life issues in the US Congress for over 20 years”. 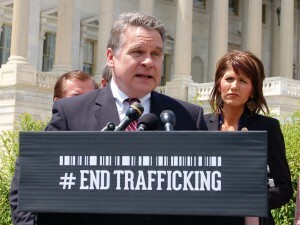 As well as writing and championing several laws on the protection of unborn human life, he is the author of three major anti-human trafficking laws and an advocate for children and adults with special needs. PLC stated that according to the independent watchdog Govtrack, as of January 2015, Mr Smith ranks third among all 435 Members of the House of Representatives over the last two decades in the number of laws he has written which amount to more than three dozen laws. Mr Smith is to the forefront in holding Planned Parenthood to account over the recent accusations that it has been harvesting the body parts of unborn babies for sale. Chris Smith, who is 61 years of age, has chaired a number of bipartisan congressional caucuses (working groups) including the Pro-life (32 years), Autism (16 years, co-founder), Alzheimer’s (14 years, co-founder), Lyme Disease (10 years, co-founder), Spina Bifida (10 years), Human Trafficking (10 years, co-founder), Refugees (10 years), and Combating Anti-Semitism caucuses, and serves on caucuses on Bosnia, Uganda and Vietnam. He was elected in 1980, and is in his 18th term in the US House of Representatives, and serves residents in the Fourth Congressional District of New Jersey. PLC will soon announce the full list of speakers for the Conference which takes place on Saturday 10 October in the RDS Concert Hall, Ballsbridge, Dublin 4.